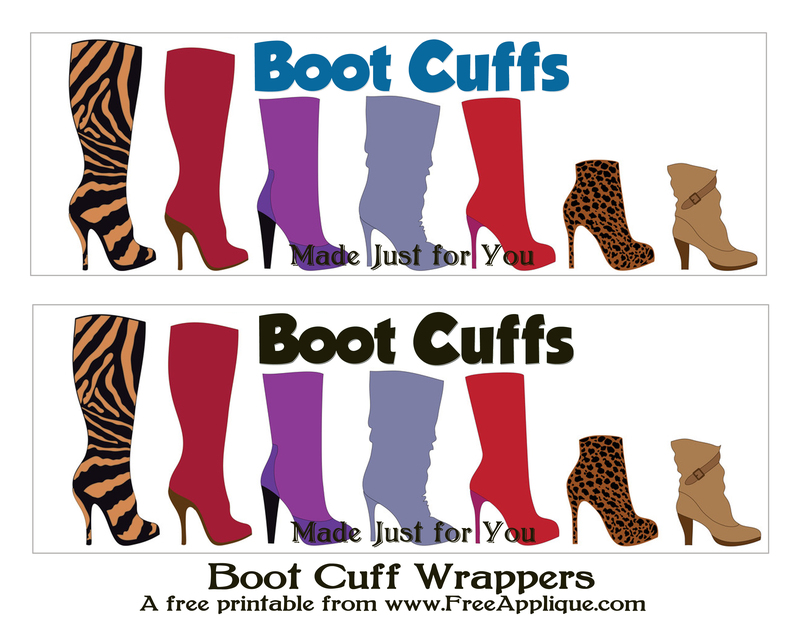 2 sets of printable boot cuff wrappers to dress up your gifts or craft show items. 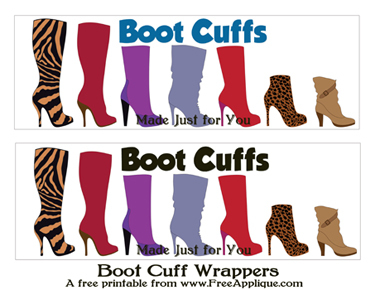 One set says "Boot Cuffs" and "Made Just for You" and the other set just says "Boot Cuffs". 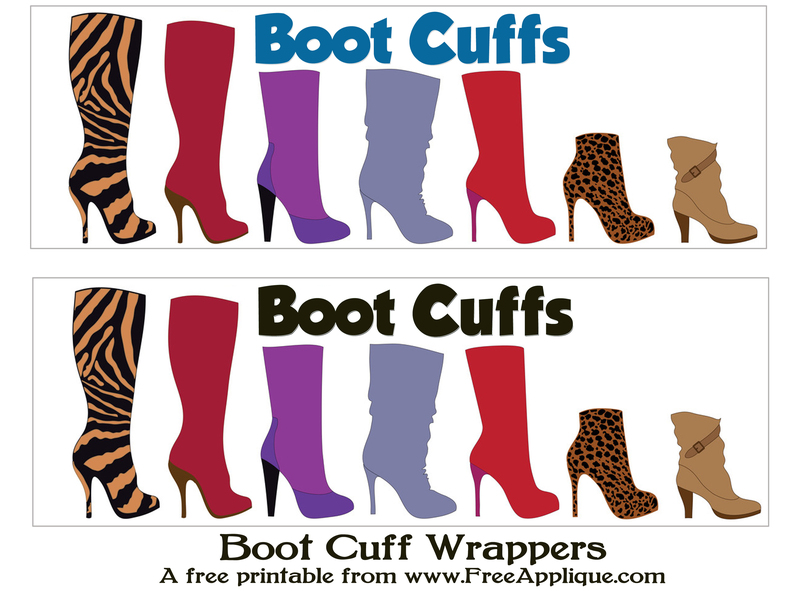 These will print on 8 1/2" x 11" - two to a page. They are best printed on cardstock. 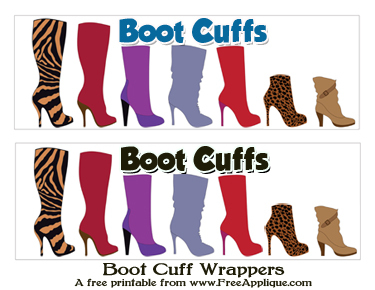 Just wrap the wrapper around the boot cuffs and tape ends together on the back side. Click images below to print. The pattern section has basic Christmas patterns for quilting, applique or even clipart.